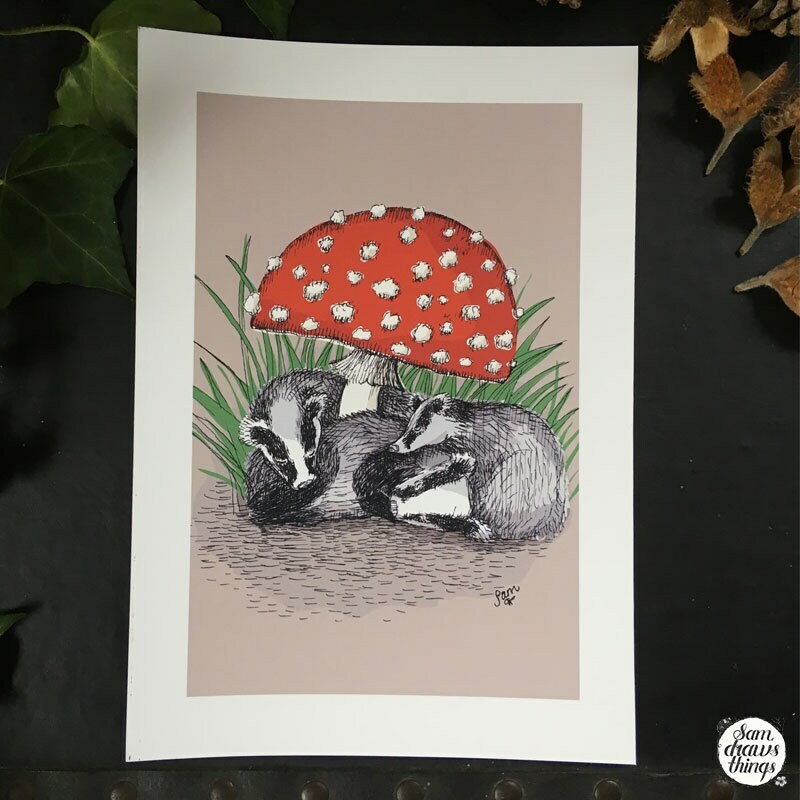 I'm not quite sure if these are tiny fairy badgers, or normal badgers under a giant mushroom... but either way, it makes a great place for a cosy nap. This listing is for a signed A5 giclee print on lovely archival paper. The drawing was done on paper, scanned in and the colour added digitally. The print is unmounted, and comes safely wrapped in biodegradable cellophane ready for you to find the perfect frame. 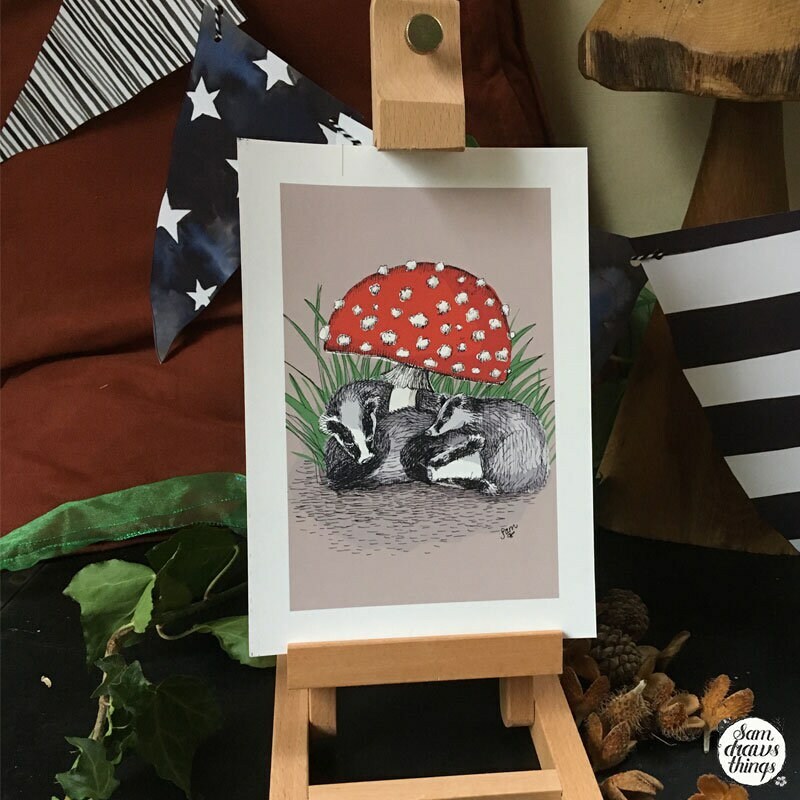 For each print sold, £2 goes to the Badger Trust's badger vaccination project, a positive alternative to the cull that has been happening across the UK. 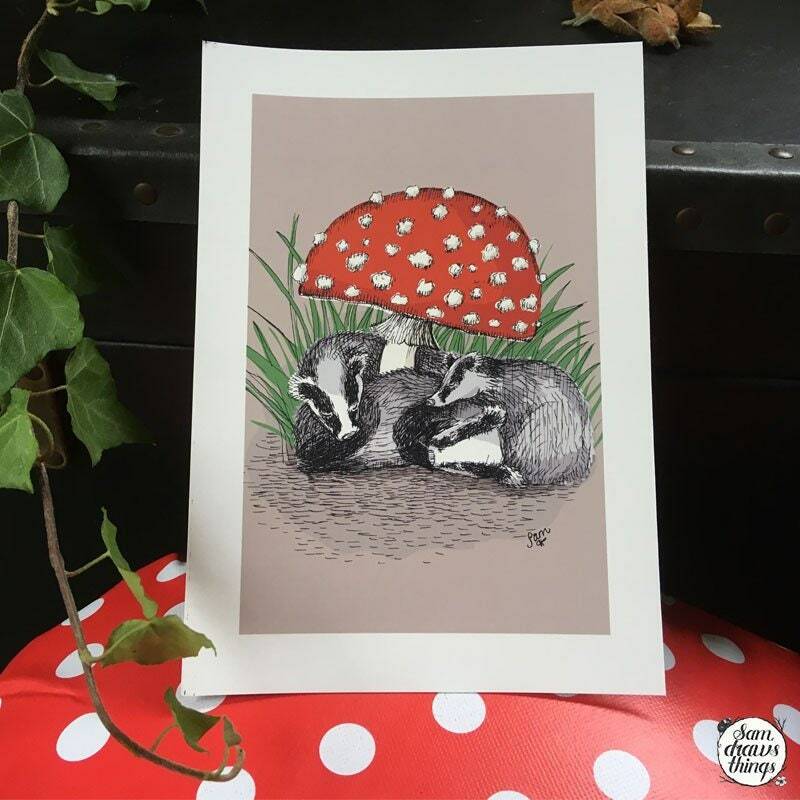 A charming print which is part of a collection of crafted items with profits being donated to a Badger charity. 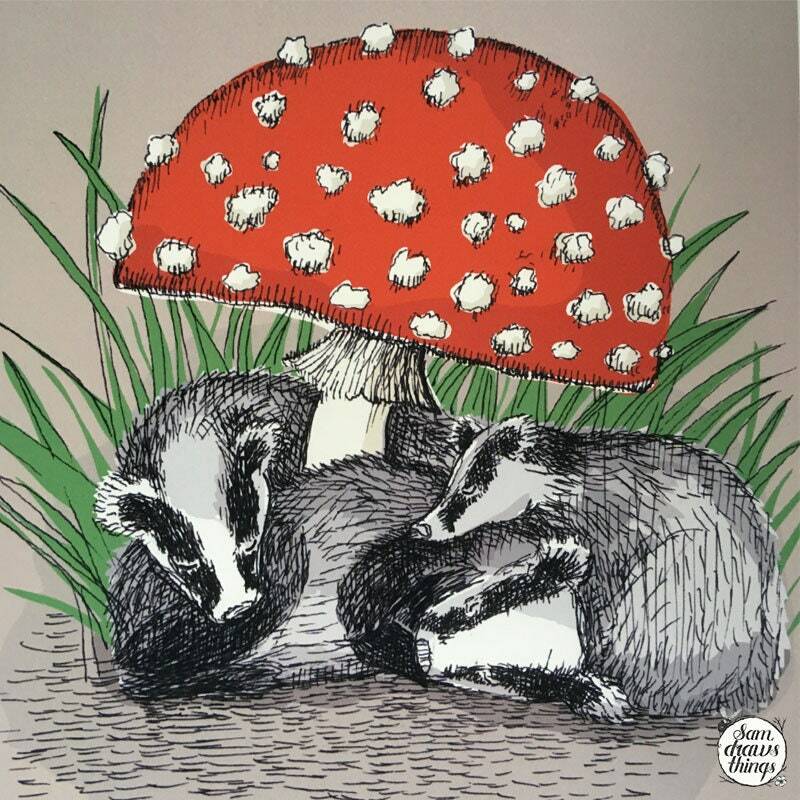 Sam’s illustration which shows two badgers snuffling under a giant spotted mushroom (the red and white spotty ones, depicted in fairy stories) is just beautiful. I have the perfect frame ready and waiting.